And the lingering question that every one in the audience has is not "Who wore it better," but is it- "Bagong Bili or Bagong Laba?" You be the judge. Both outfits definitely looks "new" but is it because it just came from the store or freshly washed with Tide? 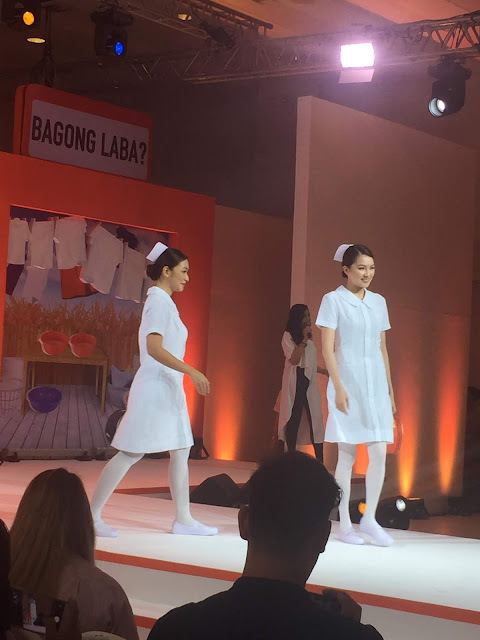 And to prove to the audience that there's really such thing as "Bagong Bili and Bagong Laba" look, the event also highlighted other guests to walk the catwalk in similar outfits. It was kinda apparent though that the audience finds it difficult to spot the "Bagong Bili or Bagong Laba," outfits by the models. 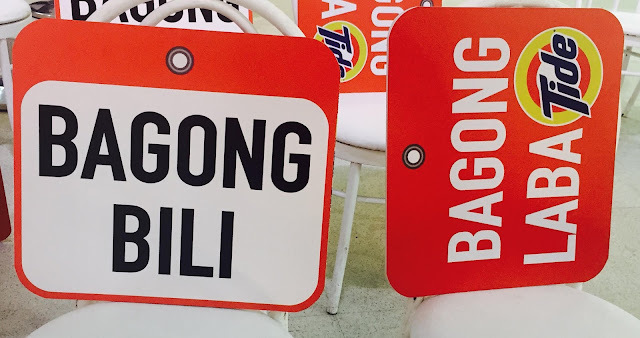 "Sobrang nagulat ako sa fact na ako pala ang may suot ng bagong laba! As in wow, nakakagulat talaga kasi for me, feeling ko bagong bili suot ko! 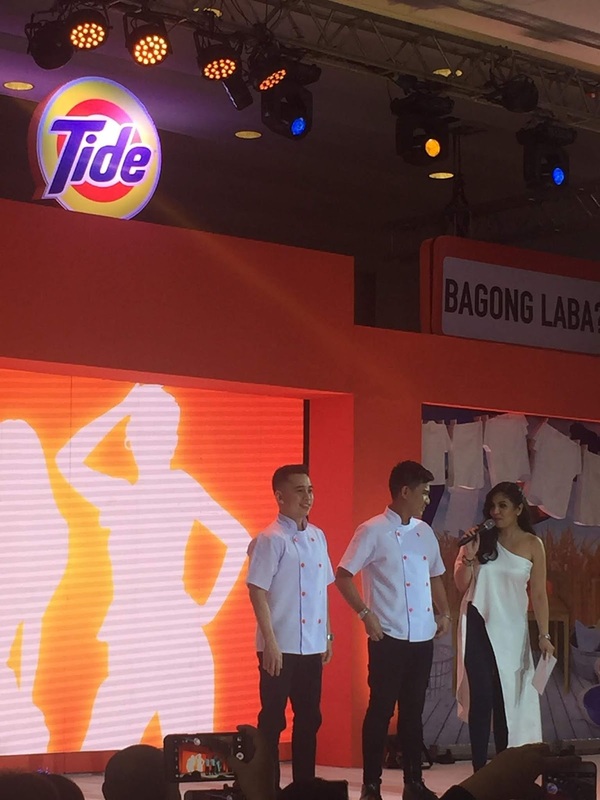 Totoo talaga na sa isang laba, mukhang bago, kapag Tide," said Alex, whose bagong laba outfit definitely looks nyo. Now that it has been revealed, it is really amazing to note the whitening power of Tide. 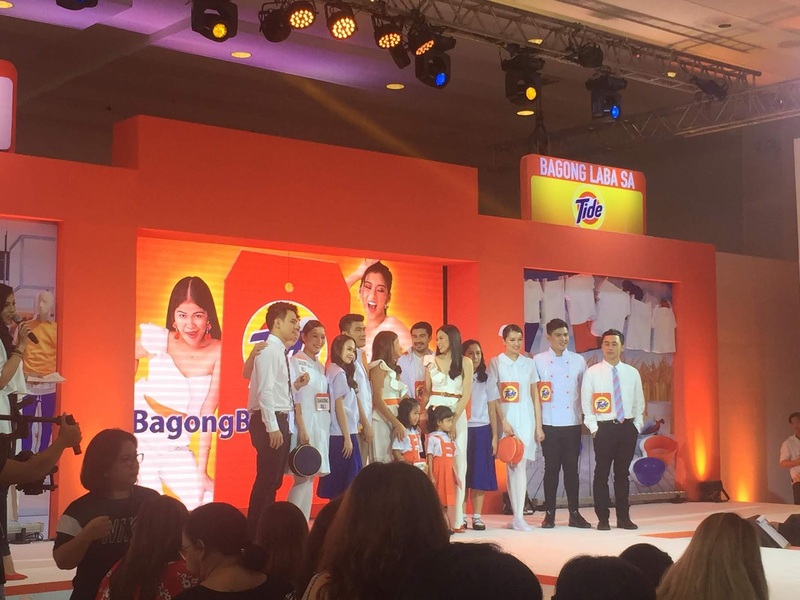 Even Melai Cantiveros is not aware that she was wearing a the "Bagong Bili" outfit because Alex Gonzaga's outfit also looks new and very white. "We know how important it is for Filipinos to have the best-looking uniforms and everyday wear, but we also know that with repeated use, clothes usually look dingy. 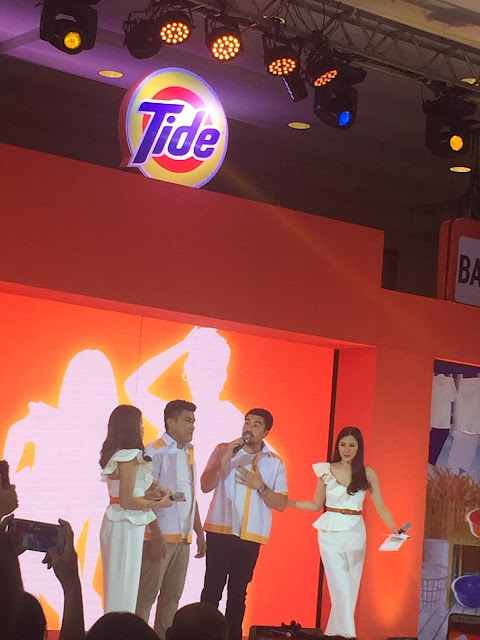 That's why we're delighted to present Tide, which in one wash, keeps clothes looking like new," says Procter & Gamble's Country Manager for Laundry, John Terence Dy. 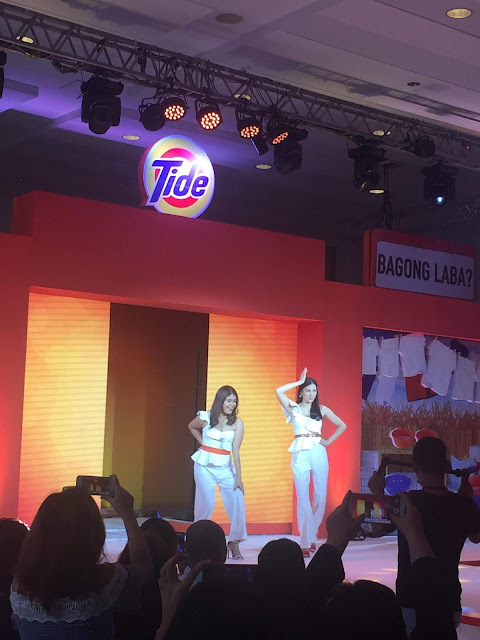 With Tide's amazing whitening power, clothes will always look new after laundry and this is quite perfect for those who loves to capture their OOTDs. Sa Tide, sa isang laba, mukhang bago!